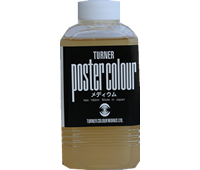 Poster Colour is a standard opaque watercolour that applies smoothly and evenly. It provides a brilliant matte finish that does not bleed. 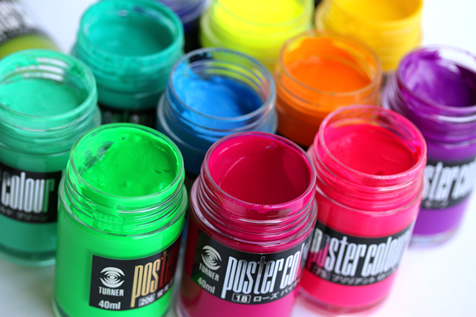 Easy to paint with, it is widely used by artists and designers. 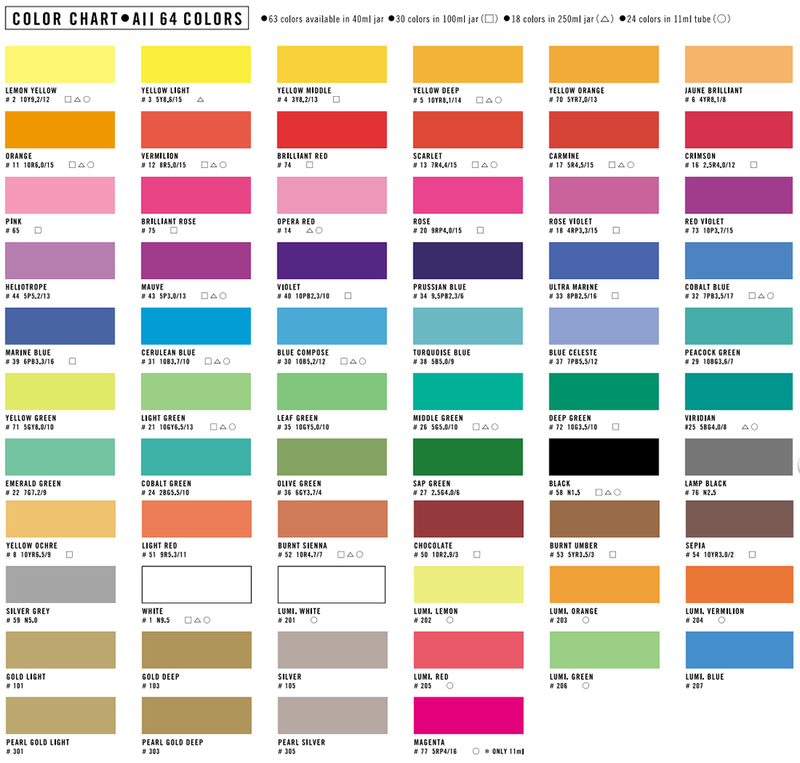 Our product is so highly concentrated you can layer your colours. Now your work can look just like velvet! Our fine particles allow you to paint smoother and further using a dry brush technique. We use only the finest quality ingredients to create a product so rich and bold it enhances your finished product. Our unique hiding power allows you to paint white and light colours over dark colours (when dry). The pure colours give you full stroke extension and smooth flow without marks, even on large areas. Stir colours in a jar with a glass rod for best consistency. Dilute paint with water, in the ratio of approximately 2:1. Note: too little water may cause cracking; too much may weaken adhesion or result in uneven painting. More water is necessary for ruling pens. Mix well, do not foam. 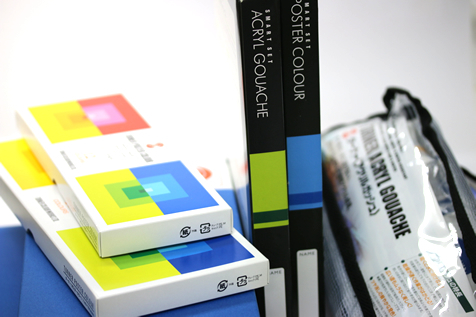 When layering colours, allows case colour to dry before application. Paint takes approximately 5-15 minutes to dry. To promote the life of the paint, keep cap fastened tightly.